It’s that time of year again, NEW ANIME!!! 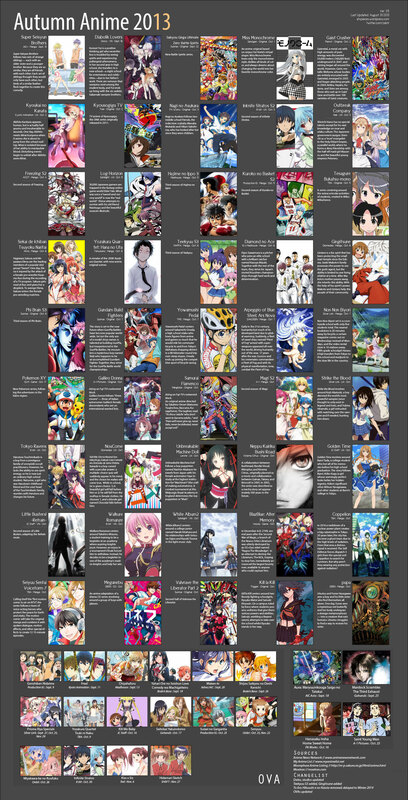 So I have here for you the fall/autumn 2013 anime line-up. I can’t wait, so many new anime and some returning one’s too…EXCITING STUFF!! This entry was posted in Animation, anime, Entertainment, Japan, Otaku, Television, TV and tagged 2013, animation, anime, autumn, Entertainment, fall, new anime, otaku, Television, TV. Bookmark the permalink.